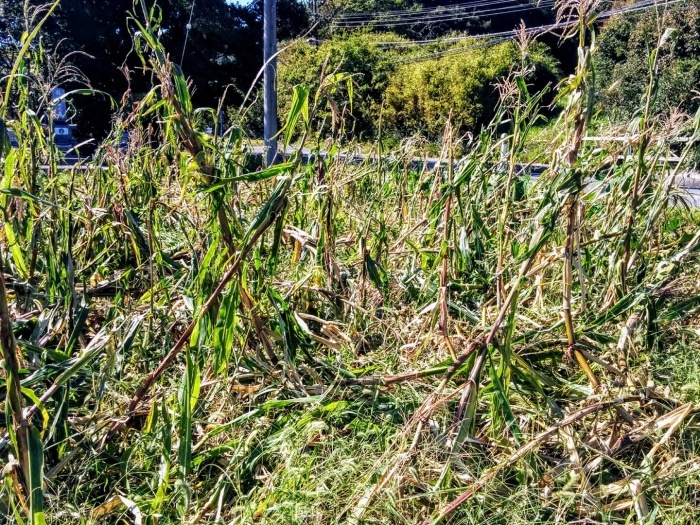 Typhoon Trami, the recent typhoon that hit Japan, had a pretty bad impact on our crops. 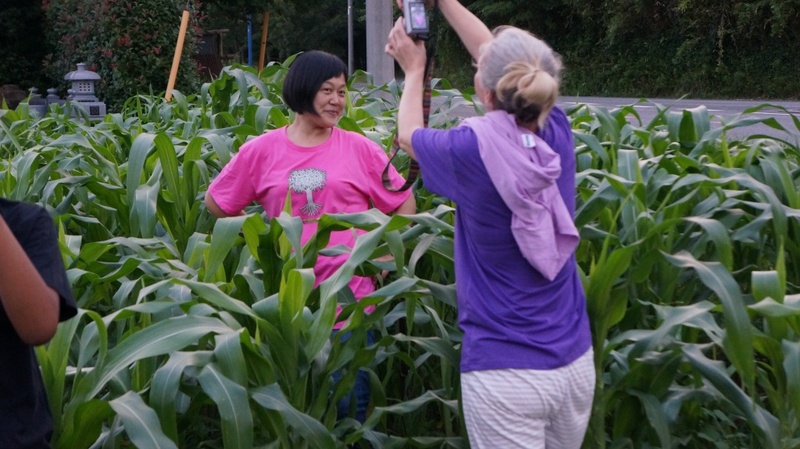 At FarmLab, we were testing out growing different types of maize and this year, we were trying out growing popcorn, or more specifically, the Zea Mays Everta. We picked up the seeds in Mexico during the Hackerfarm Mexico Tour this year and wanted to see how they adapted to growing in Japan. This particular maize grew taller than normal sweet corn varieties found in Japan and we were eagerly awaiting it to sprout the ears that we could harvest. Unfortunately, it never got to that point. A picture of the popcorn crop earlier this year as it was growing. We were doing a photo shoot for our t-shirts in it. The growing cycle is longer than normal corn and so the harvest would have been in October. That means that it went straight through the typhoon season which we didn’t really count on. This is the second maize harvest that got decimated by a typhoon for FarmLab but it provides us with good experience on how destructive random weather events like typhoons can be. One big thing we learned is not to plant anything tall that will need to survive through typhoon season. We will also start looking into different ways to fortify and provide protective structures for different crops that would need to survive high winds.